What’s that you say? A maple bacon donut? Some people immediately wrinkle up their noses and say, “How gross!” Others clamor for a taste, or beg to know where to find one. Well, I found them locally, and they are yummy. Yes, this gastric delight can be found at Donuts Delite in Rochester, NY, home to some of the most original donut designs I have ever seen. It has been around for decades and is a familiar place for locals. They also serve a great brunch and are home to one of the many Salvatore’s Pizza franchises. 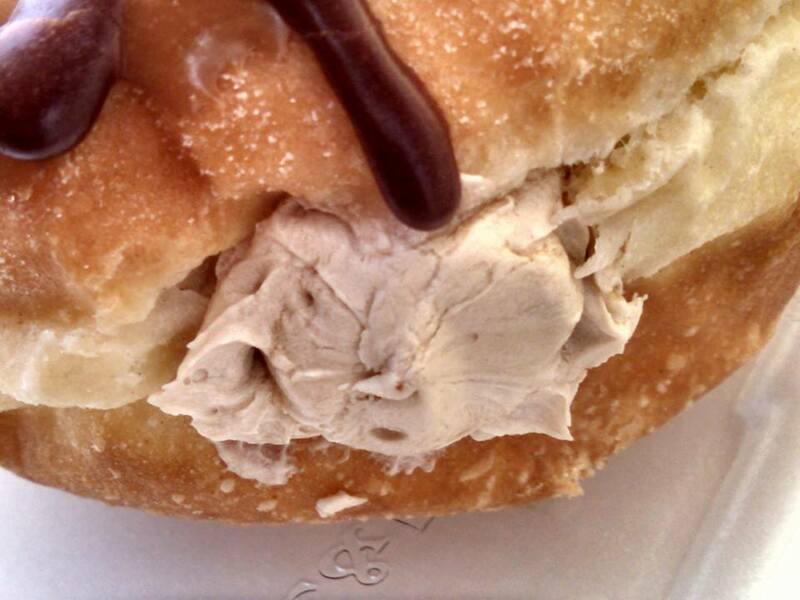 The first time I heard about this donut, I was a little skeptical. I mean, I like maple-flavored bacon. I like donuts. I would have never thought about putting them together. I remember when chocolate-covered bacon became all the rage and was skeptical of that. I received some as a holiday gift from one of my students’ parents and decided it wasn’t that bad. A nice mix of sweet and savory. So, I figured I could give this a shot. My first maple bacon donut, as pictured above, was good, but the bacon was a little gummy for my taste. I am a fan of crisp bacon, especially if it is going to be on something like this. I need that kind of a flavor. Several weeks later, I decided to give it another shot. Just look at how wonderful this looks. You take that first bite and are greeted with a mouthful of maple flavor from the frosting. Keep on going and you are greeted with the creamy maple filling and then the bite of the savory bacon topping. It’s so rich and so naughty and yet so good. 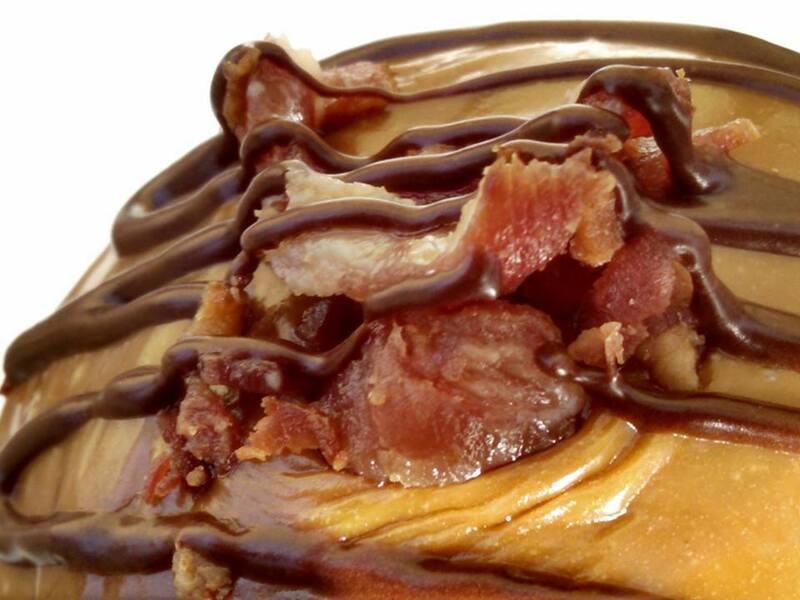 You may want to split your maple bacon donut into two pieces, but it may be hard to resist the flavor. I wouldn’t recommend eating one every single day, but allow yourself to indulge here and there. If you’re local, you will want to go in the morning, as these do sell out quickly. And then be sure to take a walk around any of our fabulous walkways or trails to burn it off. Really, you won’t be sorry. Or at least, I am not sorry. 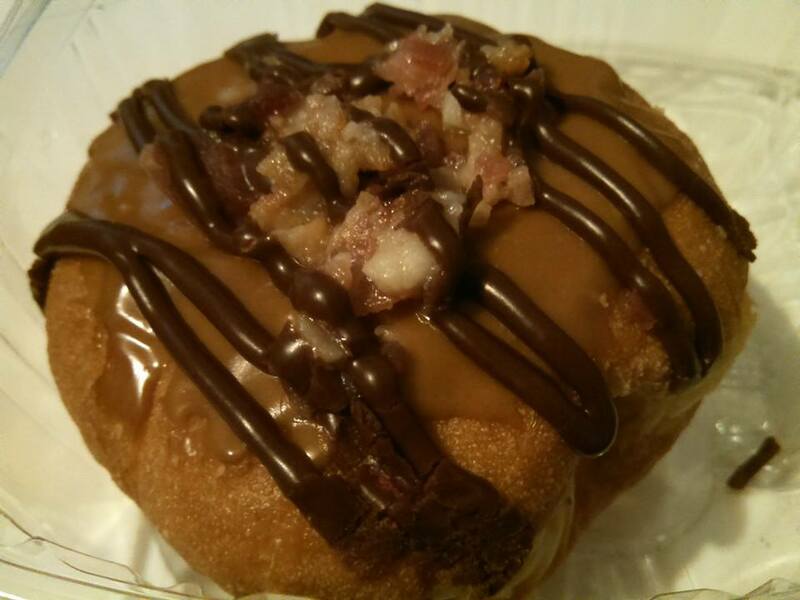 Have you ever tried a maple bacon donut? Do they exist where you are? What is one of your favorite indulgences?